Best Paint Glaze polish is designed for new and used car paint clear coat finishes. This paint polish dries fast for the quickest and easiest detail available. Horizon Glaze Polish provides a deep paint glaze look with extended protection. Best of all, this car glaze can be applied by hand or orbital buffer. 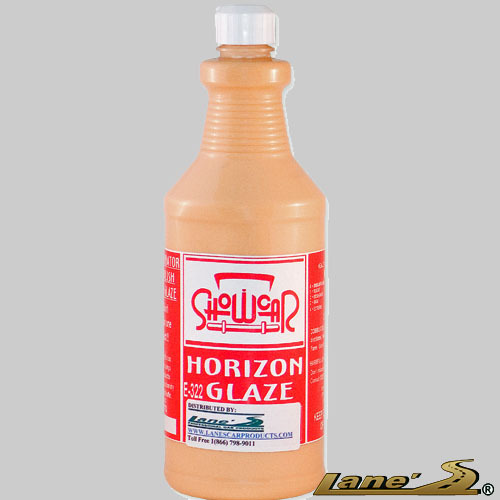 If you are looking for a professional glaze shine, Horizon Glaze will amaze you. Directions: Apply Horizon glaze to your paint with a wax applicator or buffer. Wipe off with a clean microfiber towel. Click here for more products like our Best Paint Glaze!